Nowhere else in Nevada can you experience sky-high sightseeing with canyon river rafting, all in a single day. 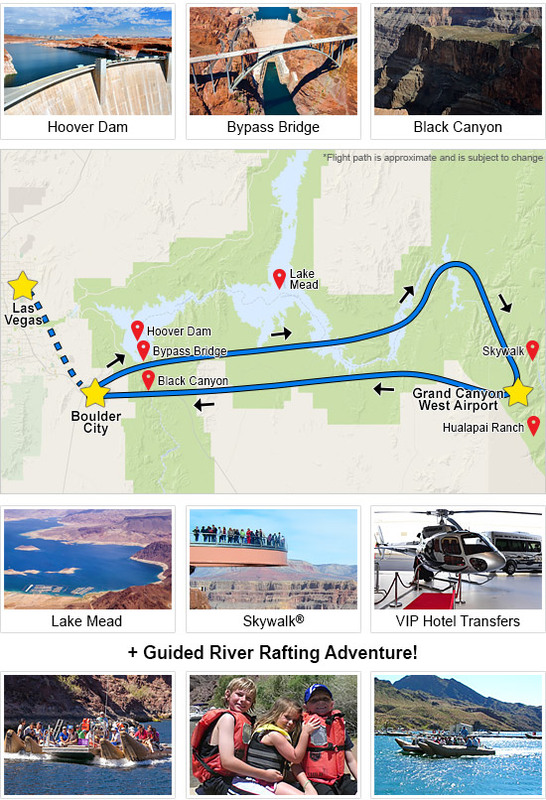 Nowhere else in Nevada can you experience sky-high sightseeing with canyon river rafting, all in a single day. This adventure pairs two remarkable experiences for a full day of sights, flights and thrills. 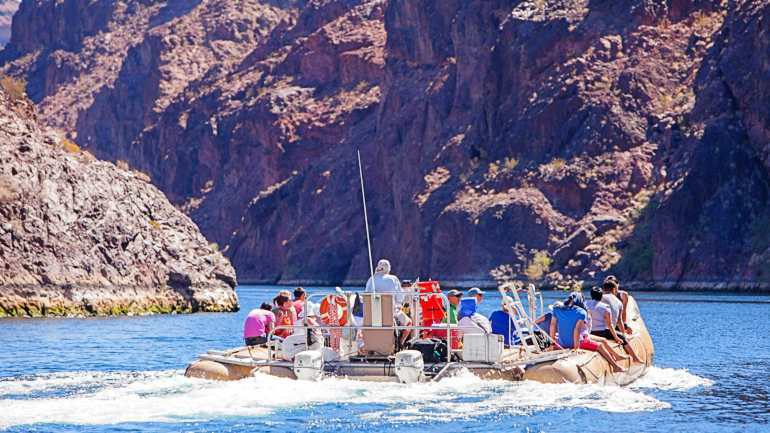 Explore the Grand Canyon by hovering right through the formations then spend the rest of your afternoon taking it all in from the vantage point of the Colorado River. The first leg of your journey begins at your hotel, where you'll be swept away in a luxury Mercedez Benz. 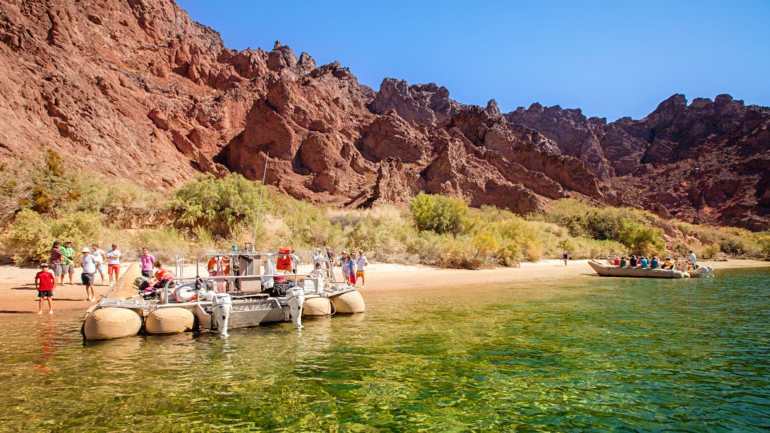 Upon arrival to the takeoff site, you'll hop aboard a first-rate sightseeing helicopter and make your way past the Hoover Dam, Bypass Bridge, Black Canyon and Fortification Hill. Next, you'll descend right into the Grand Canyon and be awed by its overwhelming beauty. 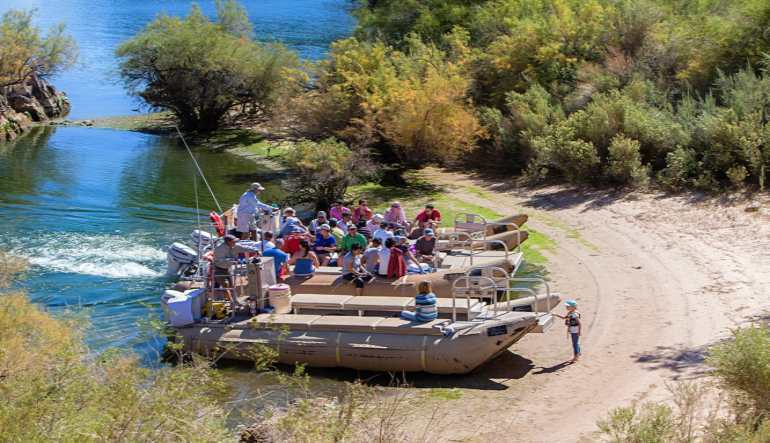 After studying the stunning geological formations, you'll touch down and be shuttled back to the Bypass Bridge, the launch site for your guided river rafting cruise. There, a seasoned guide will take you for a tour along the Black Canyon's monolithic walls. Photo opportunities are endless so don't forget your camera! This was our 20th anniversary and we wanted to do something special for our anniversary. Maximum weight per passenger on our helicopter is 250 lbs due to safety regulations. All passengers weighing in over 250 lbs. are required to purchase an additional seat.